Ah, summer! Beaches! Barbecue! Fireworks! For those office-bound, summer days and coconut-scented body products can feel like a tease. But fresh summer catering ideas can help to ease the gap until the weekend rolls around. 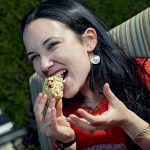 “Workplace satisfaction is so much higher if you eat with your colleagues,” Brian Wansink, director of Cornell University’s Food and Brand Lab, told the New York Times. According to the report, 62 percent of professionals eat lunch alone, at their desks. “You like your job more—and you like your colleagues better,” he said, stressing the importance of shared meals. The best summer catering menus motivate colleagues at meal time. They lure with fortifying cuisine. They thrill through nostalgia. They hit the right note of trend. So let’s walk through some nerdy-fun summer catering menu history. Then move into trending summer catering ideas that add punch to every meal. According to Time Out New York, the Hamburg steak was first defined in the dictionary in 1802 as “a hard slab of salted, minced beef, often slightly smoked, mixed with onions and bread crumbs.” It sets sail from Germany across the Atlantic to the United States. In 1837, Delmonico’s restaurant in New York opened its doors. It was the first fine-dining restaurant in the country with a printed menu that boasted of a hamburg steak for ten cents! Twenty years later, the Library of Congress credited Louis Lassen in New Haven, Connecticut, with selling the first official hamburger. Not wanting to waste precious steak sandwich scraps, Lassen grinded remaining scraps of beef and served this between toast. A star was born. Another twenty years passed as hamburgers crisscrossed country fairs and blue-collar food carts. Fry cook Walter Anderson invented the flat bun to hold burger patties. Then, in 1921, he opened the first White Castle in Wichita, Kansas. With gleaming chrome, uniformed waiters, and identical square patties, the hamburger went from street to dining room. “What Ford did for the motor car White Castle did for the burger,” said David Michaels, author of The World is Your Burger: A Cultural History, to the Daily Beast. Soon after, other restaurants followed suit. Fast-forward and you’ll find that burgers go gourmet: Bon Appétit’s best burgers of 2017 include everything from brisket to sunchoke relish. According to the National Hot Dog and Sausage Council, “sausage is one of the oldest forms of processed food, having been mentioned in Homer’s Odyssey as far back as the 9th century B.C.” But how did un-spicy franks and wieners win out? 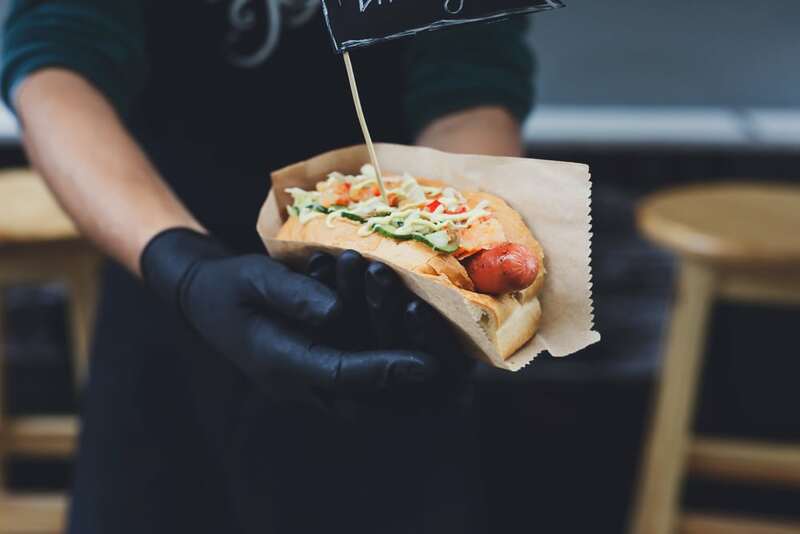 Both the 1893 Chicago Columbian Exposition and the 1906 St. Louis World’s Fair can take credit for selling the first “dachshund” sausages (the latter sausage sold nestled in a milk bun only after customers kept stealing the white gloves loaned to help keep their hands clean). Another rumor floats around that cartoonist Tad Dorgan drew a cartoon in 1901 spelling out the phrase “hot dog” after he heard a vendor boom out with the phrase at a baseball game. But the consensus? Reuters traces the story of the American hot dog to Ellis Island, where immigrant families who first sold them from blue-collar carts later founded America’s favorite brands like Nathan’s Famous, Hebrew National, and Sabrett. Potatoes are sturdy. Potatoes are versatile. Potatoes are… a winter vegetable? Historically, the potato’s popularity lies in the reliability of this winter vegetable. But our love of and hunger for the spud continued because of how much flavor and versatility the starchy tubers can take. Campion’s old-school variations include walnuts, beets, and pickled cucumbers. 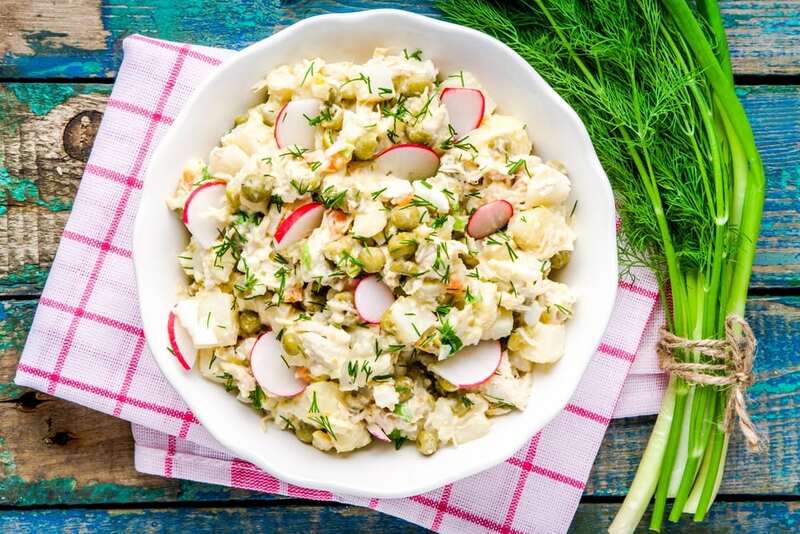 Fast-forward, and you’ll find that Saveur magazine includes combos with curry, pesto, Kashkaval cheese, and herring as potato-salad ideas for summer catering. “We don’t need corn holders. But we want them,” proclaimed the Washington Post of our obsession with things that hold, butter, or de-kernel grilled, boiled, or steamed sweet corn. Like White Castle’s hamburger and the hot dog stuffed in the milk bun, our obsession with corn-eating gadgets can be traced back to when this street eat went fancy. During the Victorian era, no one was going to eat a vegetable with their dainty hands—tiny carved knives and pronged holders became a thing. 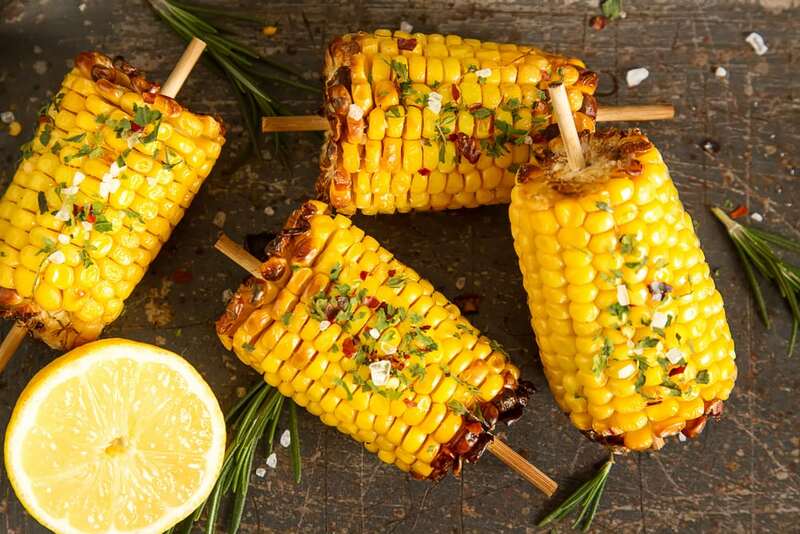 With genetic modification, corn is now sweeter and sturdier, so we can buy and store it for longer periods of time, that is, until our grills are ready and smoke hot. With international cuisines getting the spotlight, toppings like the Mexican elotecombo of mayonnaise, chili, and lime combine the best of sweet, salty, spicy, and sour. Try this easy recipe at home from Mark Bittman at the New York Times. Food historian Clifford A. Wright traces this summer stand staple back to Egypt, when medieval Arabs used the citron fruit to flavor water. Both Rome and Paris eventually became ripe with vendors selling sweetened lemon water from backpack-like tanks. By the mid-19th century, lemonade was a popular, inexpensive refreshment for laborers in urban environments in the United States. Today, lemonade stands mark the first sign of childhood entrepreneurship, and many of our pluckiest and pucker-iest memories of summer start with a refreshing glass. Taking note of our undying love for the stuff is a good segue into trending summer-catering ideas that pick up where nostalgia leaves off. 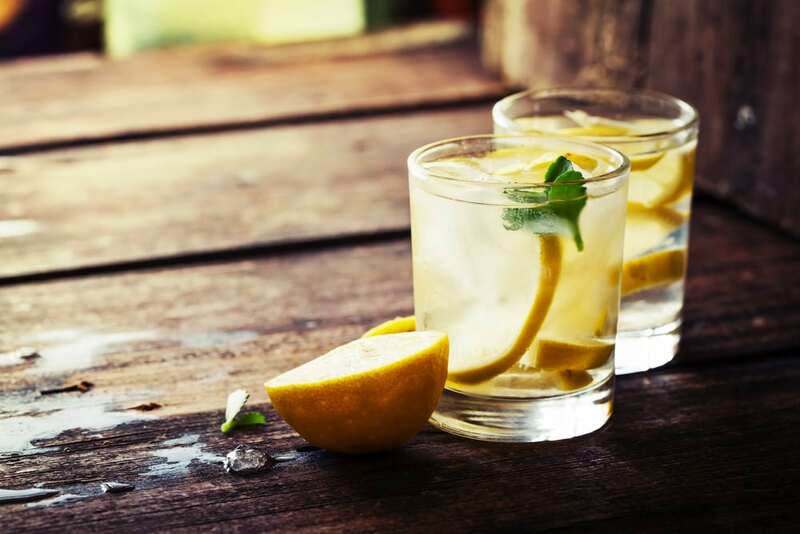 According to a Google Analytics report, earthy flavors like chamomile, turmeric, and oolong are making waves in beverages. 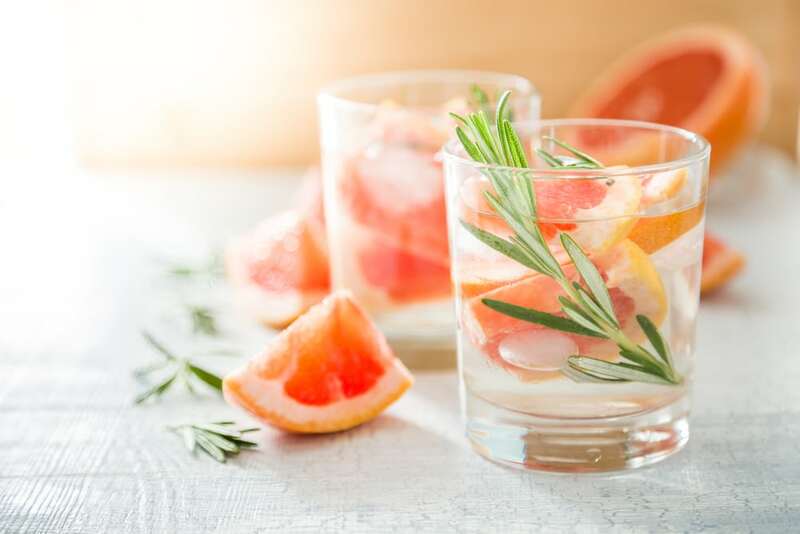 Food & Wine concludes that “plant-based ingredients are bringing bold new flavor notes to the beverage equation.” This means that more infused ice cubes, chilled teas, and coffee drinks whipped with teas, herbs, and spices will show up on summer catering menus. And shrubs—which Serious Eats defines as an “acidulated beverage made of fruit juice, sugar, and other ingredients”—are all the rage in cocktails and mocktails alike. Since a shrub can be made of any combo of fruit, sugar, and acid (lemon/lime or vinegar), options are endless. In Somerville, Massachusetts, The Rootastes offers shrub-infused waters with cucumber-mint-spice and berry-and-herb flavorings. With over twenty California locations, Lemonade infuses cucumber-mint, blood-orange, watermelon-rosemary, and more flavors into their refreshers. Just Juice 4 Life in Rochester, New York, pumps turmeric and ginger into their Anti-Inflam juice; and dandelion greens, celery, and parsley into their Blood Cleanser. And Rejuv Juice in Hurst, Texas, boosts its bottled line with ingredients like watermelon water, cayenne, and turmeric. Looking for some DIY summer catering ideas? Swap out lemon slices for something earthy or green. Think cucumber slices, peeled turmeric or ginger root, or a whole bunch of fresh herbs like mint or parsley. (Don’t chop it—just wash it, put it in a pitcher, fill with water and ice, and let infuse!) Or whisk some activated charcoal in your lemonade for an inky-black creation that’s so on Instagram trend. 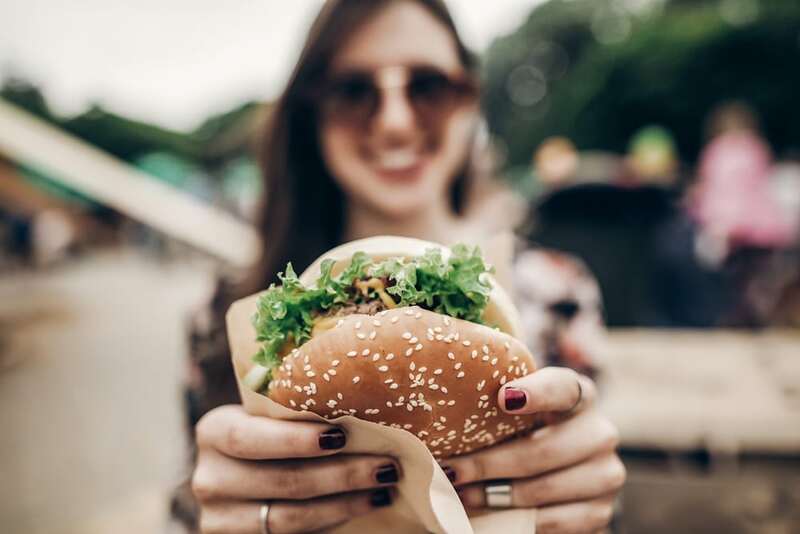 According to Nation’s Restaurant News, our beloved burgers get a healthful jolt on summer catering menus: “Whole-grain breads, leaner proteins, vegetable toppings, and flavor-packed sauces are healthy tweaks that don’t compromise taste,” Datassential marketing coordinator Joe Garber shared with readers. But healthful food goes beyond the bun. House-made and small-batch condiments are easy upgrades in restaurants and office pantries. Eaters continue to look for lighter fare, made with gluten-free and grain-free ingredients that still pack pizazz. Major players like California Pizza Kitchen now offer gluten-free crusts or pasta made from zucchini. Great grain bowls use quinoa, teff, millet, and sorghum or grain-free riced cauliflower as a base. Then, summer catering ideas go flavor-forward with exotic fruits, crunchy kimchi, and smoked nuts and seeds on top (smoke and pickling being huge trends this year overall). 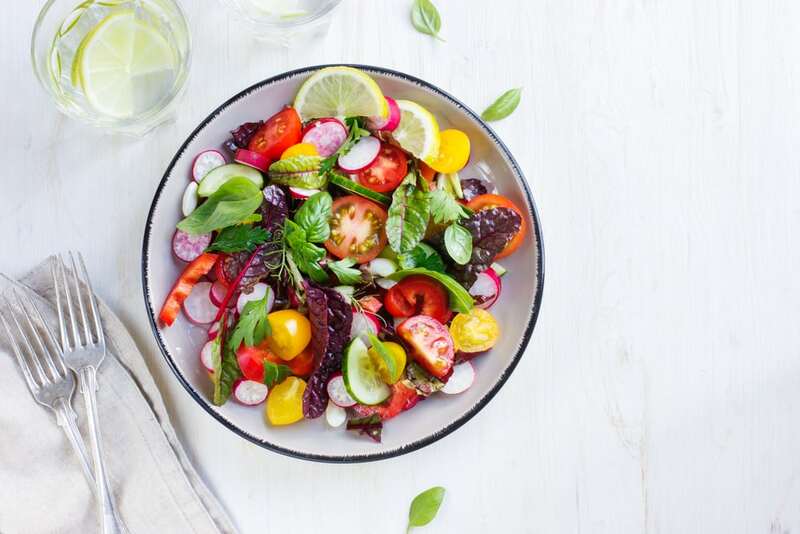 Office life is no reason to think you can’t have barbecue—summer catering menus and budget-friendly packages make it easier than ever to bring the smoke inside. For styles crossing Texas to the Carolinas, nationwide caterers Billy Sims, Sonny’s BBQ, Dickey’s Barbecue Pit, Famous Dave’s, Moe’s, and Shane’s Rib Shack bring the backyard to the boardroom. Barbecue champion Myron Mixon predicts that more stone fruits like peaches will pack smokers this summer. Continuing the cured foods trend, Esquire magazine expects cured and pickled flavors to find their way together in things like pastrami beef ribs or Korean kimchi-topped pulled pork. 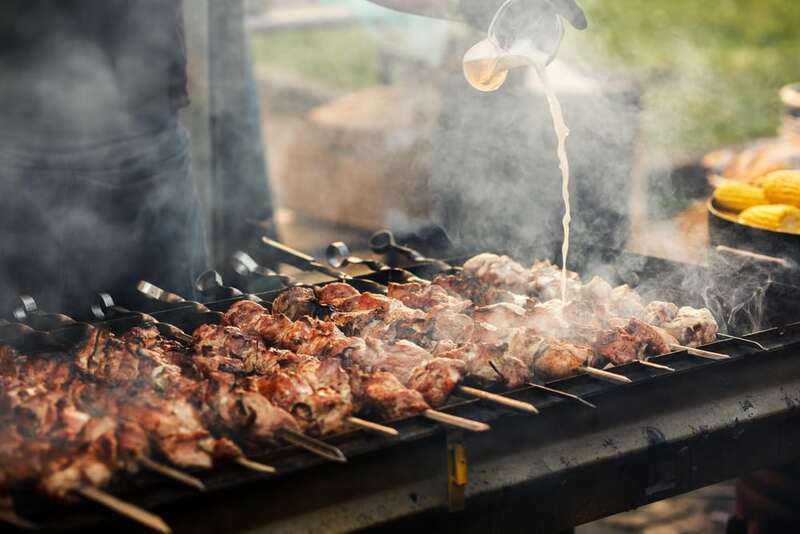 Want to try out some of these barbecue and beverage trend ideas of summer catering? This recipe from Jarry magazine will guide you on how to use cinnamon sticks for quick-smoking sultriness in cocktails and mocktails. 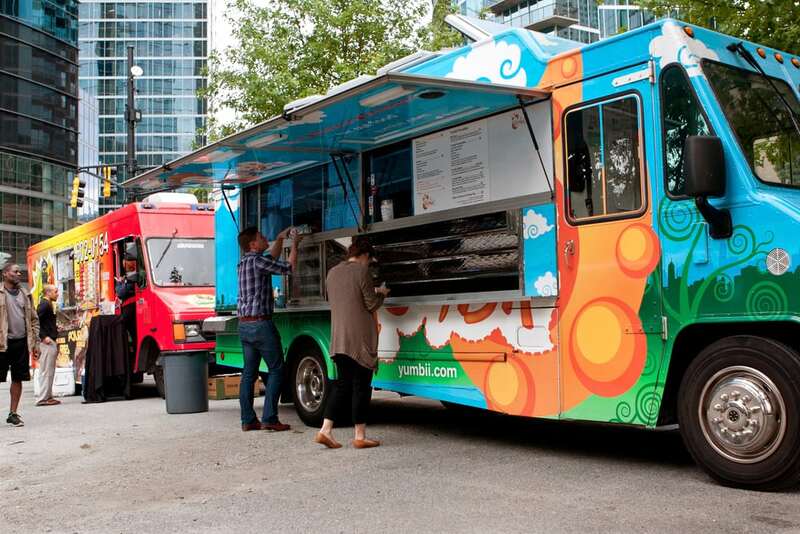 International street foods and food trucks continue to grow in popularity. This year, food truck festivals in New York, Chicago, and even the island of Aruba show that the trend is going somewhere fast. And there’s no better time to bring the menu to your door than summer. Limited kitchen space doesn’t mean limited creativity for summer catering menus. Rather, food trucks offer bountiful flavor. Shark Bait Food Truck in San Jose, California, lets fresh fish shine in tacos and burritos. These are topped with on-trend items like pickled cabbage and “secret orange sauce.” In Los Angeles, Prince of Venice tosses some mystique into pasta with help from curry or shrimp pesto. Or go Middle Eastern with Sajj’s Mediterranean falafels, kebobs, and spreads. Want to get out-out of the office and walk to a truck? Our maps of trucks in major cities will have both your Fitbit and stomach thanking you. Ice cream has been a trending summer-catering menu item in the United States since, well, since cows were first imported from Europe in the Colonial period. Last summer’s trending flavors like cardamom, malted chocolate, and matcha are still making waves as the earthy-foods trend continues. But the hottest ice-cream trend this summer comes from Thailand, where rolled ice cream combines some of our favorite things about dessert. Made-to-order cups and cones start with a creamy base spread thinly on a cold steel pan chilled to twenty degrees below zero. Slowly rolled into tubes, the lot then gets topped with anything from crushed candy bars to honeycomb or roasted nuts. 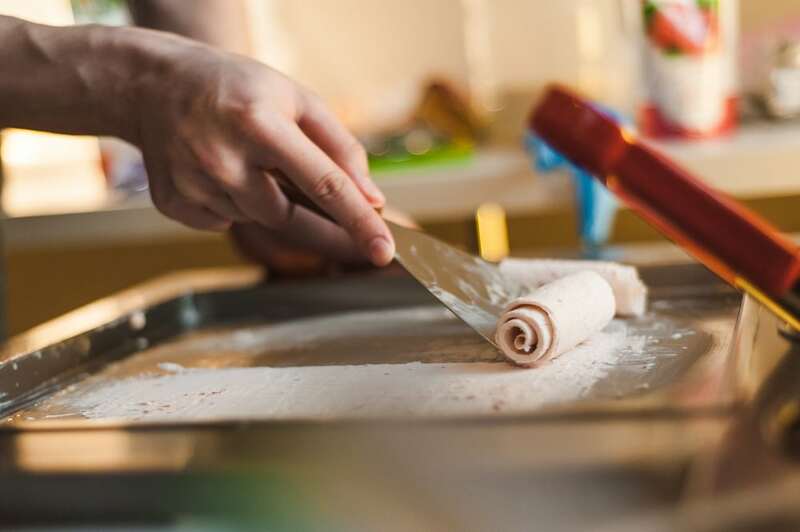 An Instagram-ready hit, more caterers are learning how to pour-and-roll on-site, so keep an eye out as the temperature rises. Looking for more trends in food? We’ve got them.